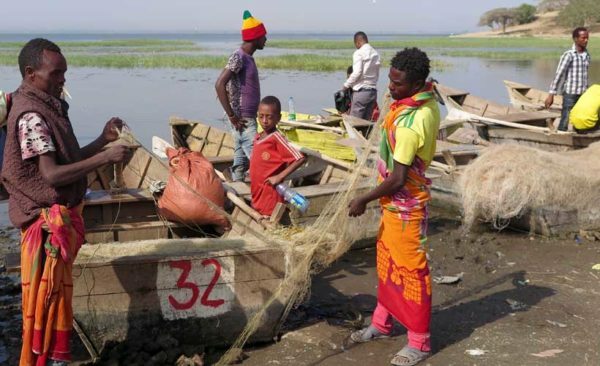 With its fabulous 3,000-year history, diverse peoples, vibrant culture, ancient tribes, varied wildlife and magnificent scenery embracing every landform from high mountain plateaus to parched deserts, Ethiopia is a unique destination without peer. 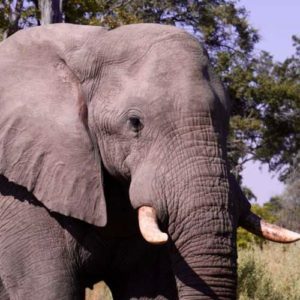 Add to this one of the finest climates in Africa – “thirteen months of sunshine!” – and you have so many reasons to visit this incredible country. 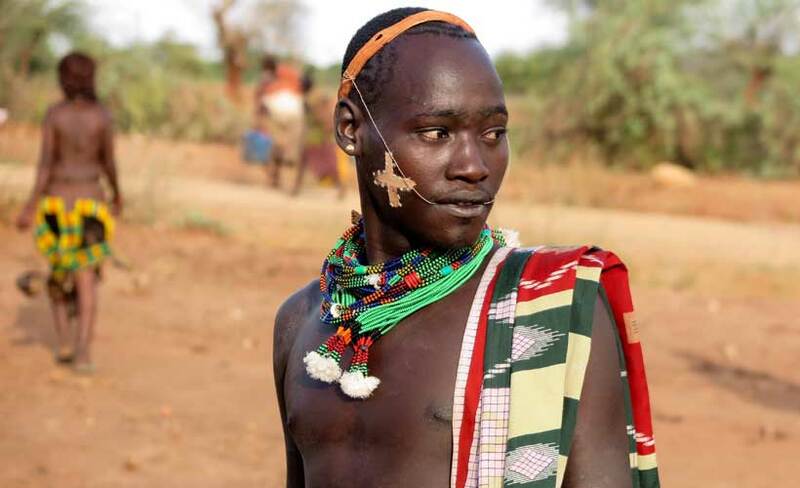 Interact with the ancient tribes of the Omo Valley, wind your way through cobblestoned streets in Harar, see the rock-hewn churches of the Lalibela. Our Ethiopia tours provide a serious cultural hit. 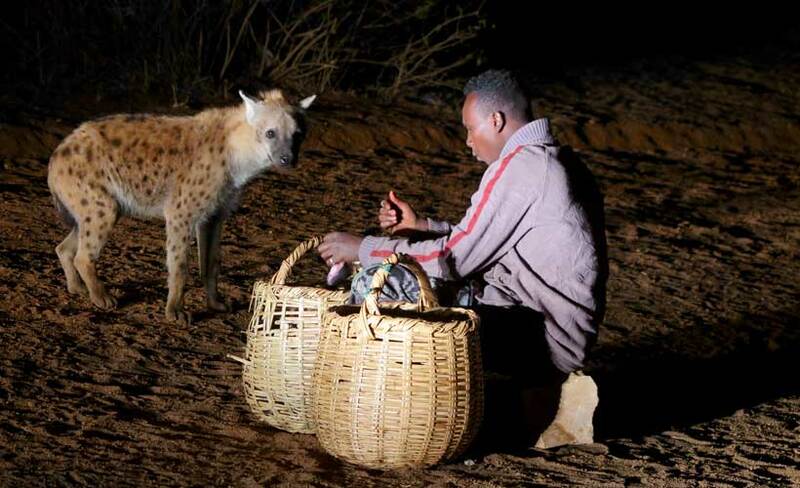 With its fabulous 3,000-year history, diverse peoples, vibrant culture, varied wildlife and fauna, and magnificent scenery embracing every land-form from high mountain plateaus to parched deserts, Ethiopia is a unique destination without peer. Add to this the one of the finest climates in Africa ("thirteen months of sunshine!") and you have so many reasons to visit this incredible country. 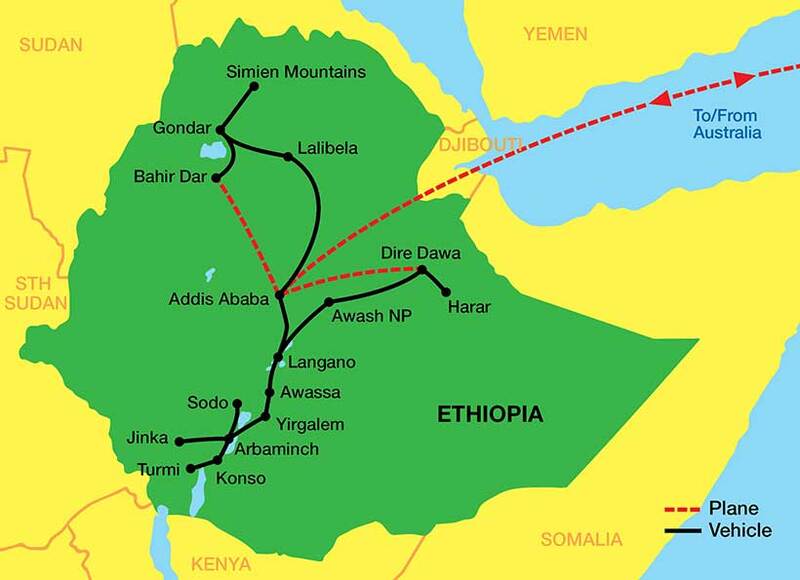 Located in the northeast Horn of Africa, Ethiopia is the oldest nation in Africa. 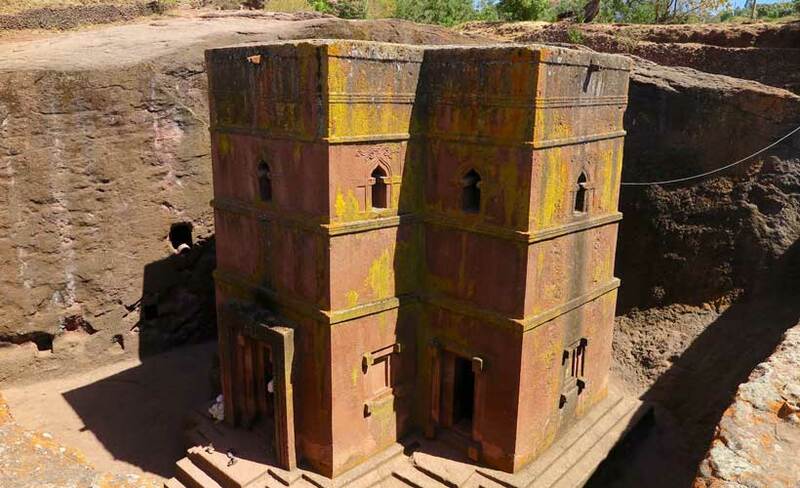 A country with one of the richest histories on the African continent, Ethiopia has extraordinary archaeological sites. In the North of the country are the seventeenth century castles and the Imperial Compound of Gondar, the monasteries of Lake Tana and the thirteenth century monolithic rock-hewn churches of King Lalibela in the Wollo Region – the Eighth Wonder of the World. The city of Axum is also in the North. It was a trading power that ruled the region from around 400BC into the 10th century. 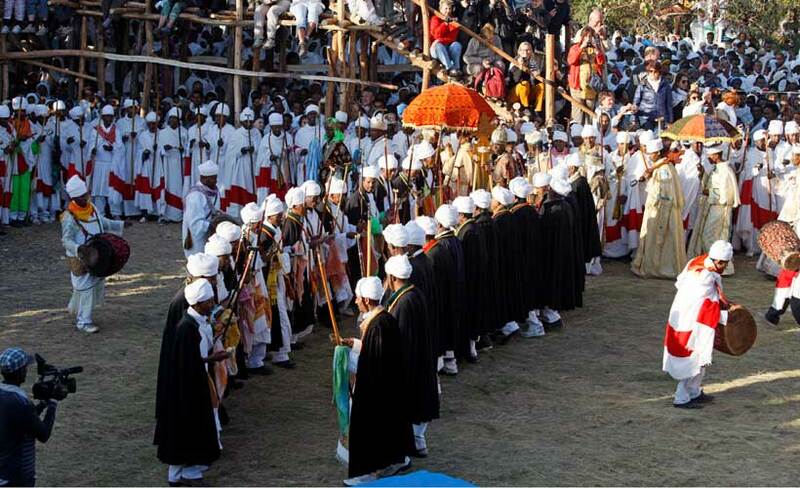 Due to their historical value, UNESCO added Axum’s archaeological sites to their World Heritage List in 1980. 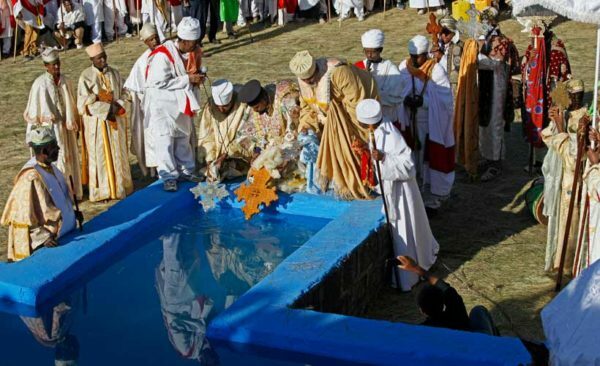 The Ethiopian Orthodox Church claims that one of Axum’s churches houses the Ark of the Covenant in which lie the Tablets of Law upon which the 10 commandments are inscribed. 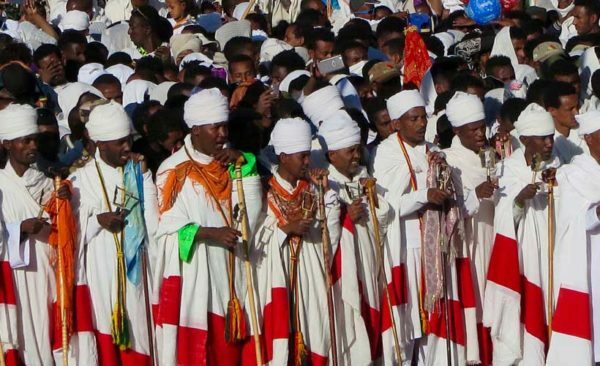 In the East, the 1000-year-old city of Harar, with its 99 Mosques, is the fourth holiest city in Islam, after Mecca, Medina and Jerusalem. 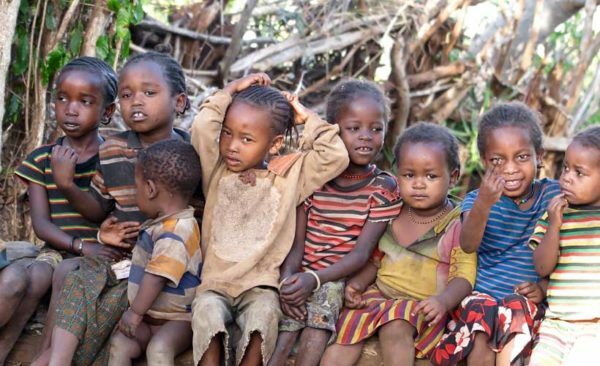 Ethiopia is one of the largest countries in Sub-Saharan Africa, covering over one million square kilometres. 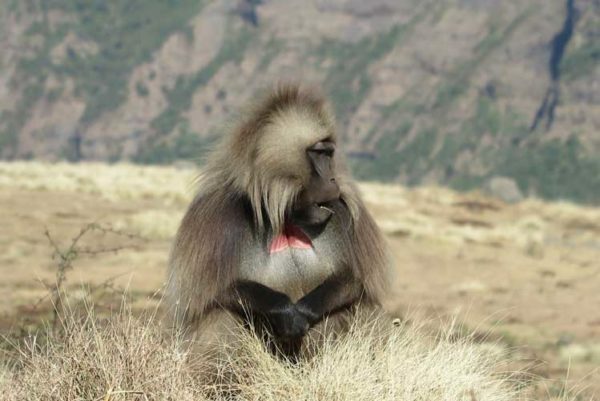 It has every variety of scenery, from the peaks of the Simien Mountains in north Gondar to the deep Dalol depression in the west. The landscape is dominated by a volcanically formed central plateau, referred to as the Ethiopian Highlands, with an average altitude of 2,000 metres, including twenty peaks of 4,000 metres or higher. These Highlands form the source of four major river systems, the best known being the Blue Nile, which rises in Lake Tana in the northwest. The same outpouring of lava also contributed to a giant tear across the surface of the Earth that can be seen from space, known as the Great Rift Valley. 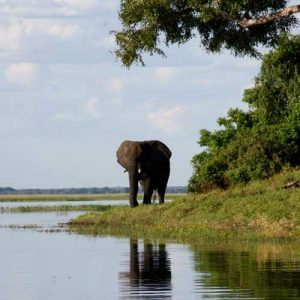 Extending nearly 6,000 kilometres from Syria, through the Red Sea, Ethiopia, and down to Mozambique, this spectacular and abrupt cutting away of the land never fails to strike a traveller with surprise and awe. The Rift Valley is also home to seven large and beautiful lakes in the heart of the country, caused by the millennia of heavy rainfall that deluged Africa at the same time that northern Europe was going through its ‘Ice Age’. The wildlife found in Ethiopia is quite different from that of the rest of East Africa, showing some affiliations with the Middle East, and includes the native Walia ibex, Gelada baboon, the rare Ethiopian wolf, Simien fox and mountain nyala. However, it is the people of Ethiopia who truly round out the character of this land of enormous ethnic diversity. 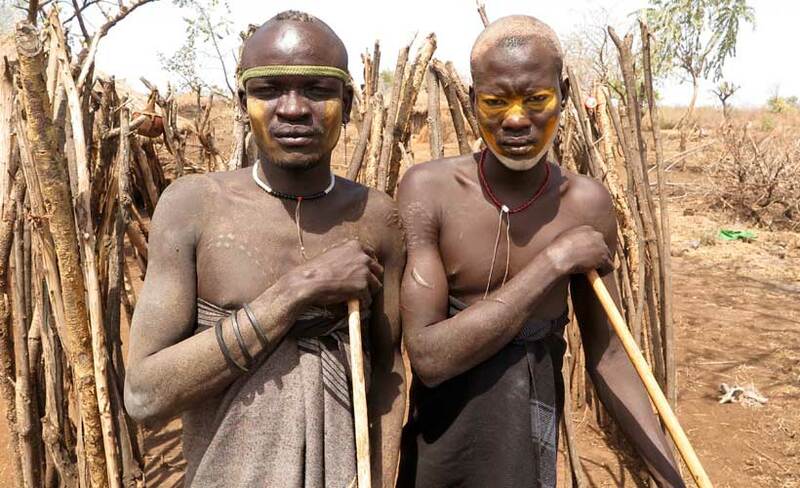 Communities originally of Semitic, Hamatic, Nilotic and Omotic stock make up more than 80 ethnic groups (with as many languages). 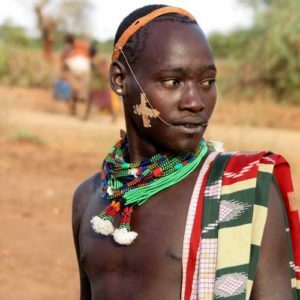 The ancient tribes of the Omo Valley in the south of the country, live today, much like they have for thousands of years – albeit now with mobile phones! The majority of the population is Christian while a third of its population is Muslim. 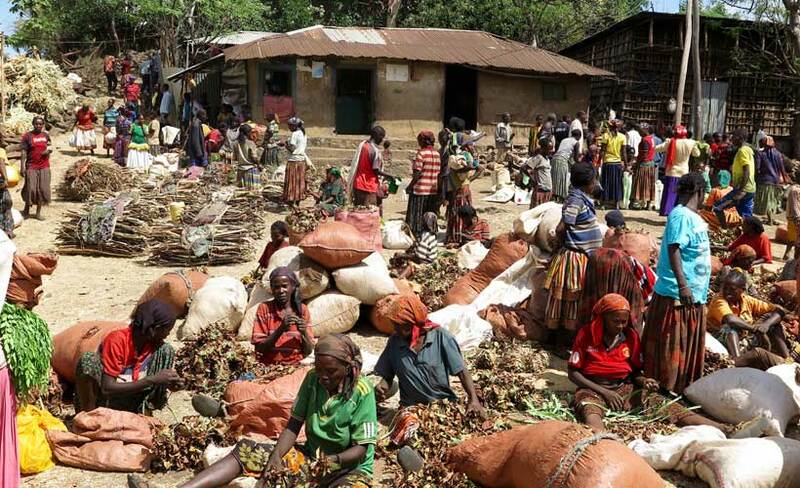 About 90% of the almost 100 million people earn their living from the land, mainly as subsistence farmers. However, the country is growing economically at a very fast pace. Factories (mainly owner by Chinese companies), railway lines, quality roads and other infrastructure is being built in all the major cities. Statistics show it has been Africa’s second fastest growing economy (after Ghana) with double digit growth over recent years. 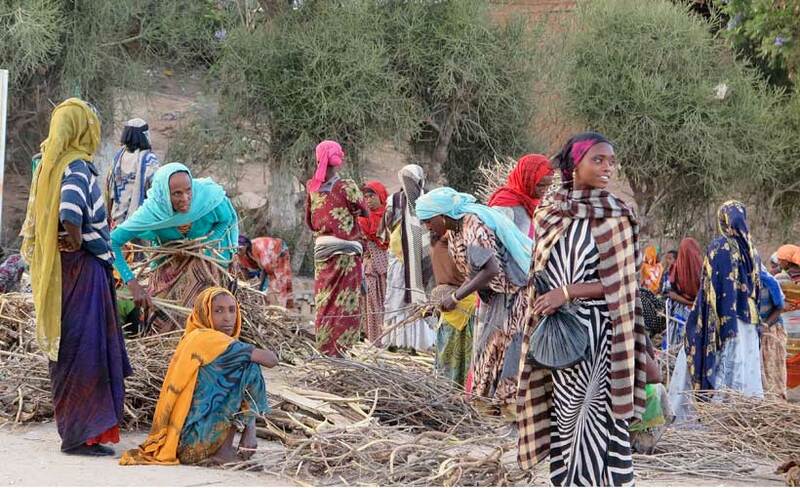 Many customers from our small group tour to Ethiopia will tell you it is one of their favourite places on the planet. The variety it offers for the traveller helps explain why. 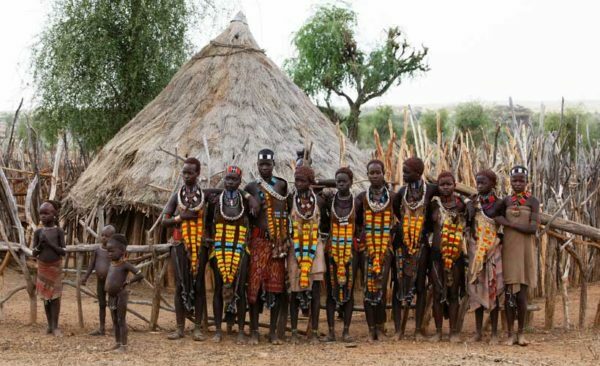 Blue Dot Travel also offer private tours to Ethiopia.